FBI agent Jason Shepherd is hard on the trail of a serial killer whose kills mimic animal attacks. A specialist in the paranormal, Jason hides a secret of his ownâhe can see the true nature of werewolves in their human form, and heâs certain one is at the bottom of the killings. 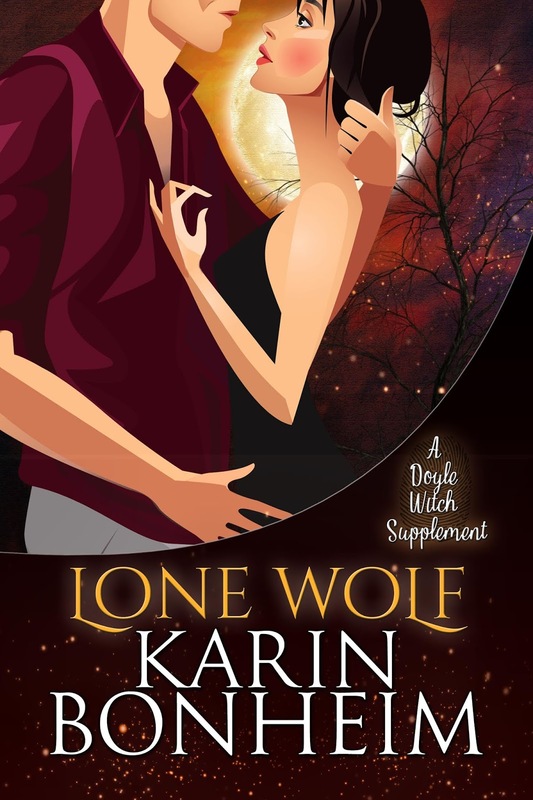 A mystery within a mystery, Lone Wolf is novella three in the Doyle Witch supplements, and the sequel to Shamanâs Bane by fictional witch, Karin Bonheim. If you like paranormal romance mixed with your mystery and suspense, buy Lone Wolf today! Karin Bonheim is a fictional romance writer and witch who inhabits the world of Kirsten Weissâs Doyle Witch Cozy mystery series: Bound, Ground, Down, and Spirit on Fire. Kirsten Weiss has never met a dessert she didnât like, and her guilty pleasures are watching Ghost Whisperer re-runs and drinking red wine. The latter gives her heartburn, but she drinks it anyway. If you like funny cozy mysteries, check out her Pie Town, Paranormal Museum and Witsâ End books. If youâre looking for some magic with your mystery, give the Witches of Doyle, Riga Hayworth and Rocky Bridges books a try. And if you like steampunk, the Sensibility Grey series might be for you. Feel free to follow her on Twitter or Bookbub, get in touch on Facebook, post a picture of this book to Instagram and tag her @kirstenweissauthor, or send her an email. Sheâll answer you personallyâ¦which may be a good or a bad thing, depending on your perspective. For information about other New Releases, click here.